This well-appointed tasting room has a long bar, tables, fancy decanters and a bank of casement windows open to the breeze and the brisk, small-town street life just off of Healdsburg Plaza. Turning to appreciate the view, we see happily munching lunchers across the street, on the Oakville Grocery patio. Hang on a second—this is inexplicably and all of a sudden nettlesome to me. Since it does not find itself, at the moment, in Napa Valley's Oakville, how does the store warrant its appellation? Oy, next time you turn around, they'll be selling designer handbags on Healdsburg Avenue! Another county-line interloper, Topel hails from Hopland, but has sensibly come down off Duncan Peak to enjoy Healdsburg's higher foot traffic. Grapes are grown at the mountain estate, where Mark and Donnis Topel handcraft a few thousand cases annually. In his spare time, Mark Topel picks up extra cash as a criminal defense attorney and partner in a nationwide law firm. Wines are distributed nationally but sparingly, mostly at restaurants located nearby the aforementioned law offices. Like buttercream over lime, the 2008 Sauvignon Blanc "Grace" ($18) is pleasingly soft but has zest. The 2007 Pinot Noir Reserve, "Serendipity" ($45), vinted down in Monterey County, hints at mint and eucalyptus, with chocolate-cordial, porty flavors, while finishing neither heavy nor sweet. The Syrah fails to interest, but flavors pick up with the estate Cabernet and Bordeaux blends: cedar, cigar box, chocolate aromas lead in the 2005 Meritage ($32), with berries, chicory and brown spice. The next several shared remarkably similar spice characteristics, due no doubt, to the fine, toasty oak barrels employed. Darn good stuff. Makes one hungry for a portobello mushroom focaccia sandwich. 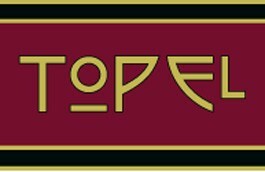 Topel Winery, 125 Matheson St., across from Oakville Grocery. Open daily 11am–7pm. Tasting fees $5–$12. 707.433.4116.